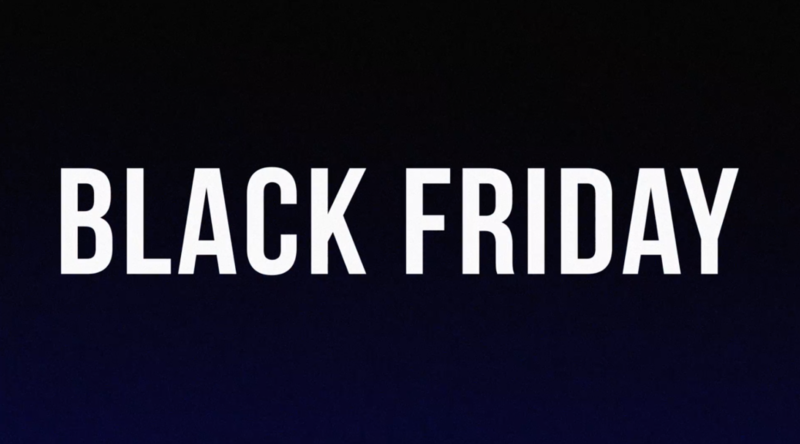 The 2017 holiday season beckons, and alongside the inappropriately early Christmas music and the excessively hyped ginger spice lattes it’s time to take Black Friday on like a pro. Go ahead and cuddle up by the fire with your holiday sweater on, half conscious from turkey coma chemicals, while you chuckle at the fools who don’t know how to use the Internet to buy things on sale. 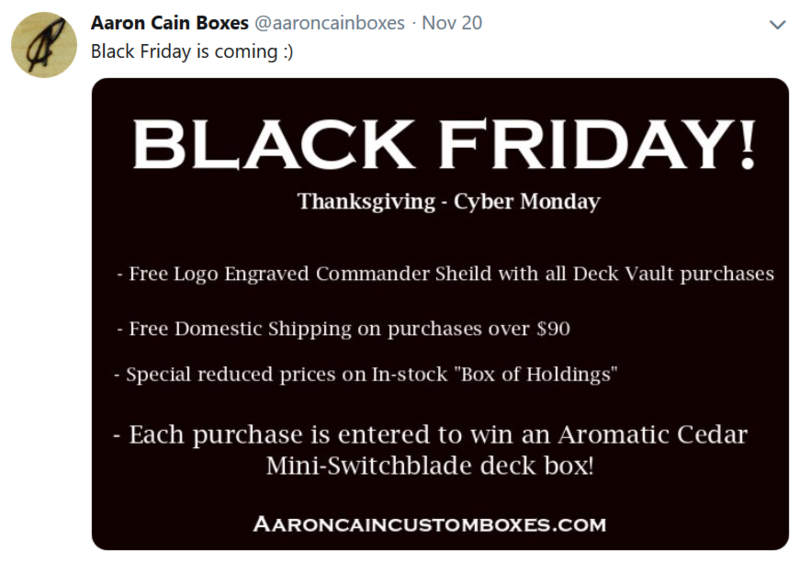 11% off anything site wide using “BLACKFRIDAY” coupon at checkout. Free shipping over $75 as per usual. Planechase Anthology or Hour of Devestation or Amonkhet Booster Boxes: ~$61 USD, ~$76 shipped to USD. $79.99 CDN + $11.50 shipping in Canada, free pickup in store in Toronto or Montreal. So that’s that. If you’d like to share a really sweet deal you found online, hits us up in the comments below! The release of Amonkhet this spring found Magic: The Gathering in a pretty strange place. After having committed to 8 ban announcements per year, WoTC declined to ban Felidar Guardian when the infinite combo was first discovered, citing lack of data. After it became clear the deck was narrowing the format and limiting player participation, the ban hammer still didn’t drop five weeks after Pro Tour Aether Revolt. This brought us to one fateful monday, when the company again declined to ban any cards in Standard, only to change their minds a couple of days later, completely outside the set schedule for such announcements, and ban Felidar Guardian after all. Fast forward a month or so and Aetherworks Marvel decks posted up as the new dominant archtype, leading to yet another ban. Between this crazy sequence of events and the (at best) mixed reaction to the Amonkhet Masterpiece card frames, the very positive reactions to the limited format makes the debut of the set a tangled web indeed. 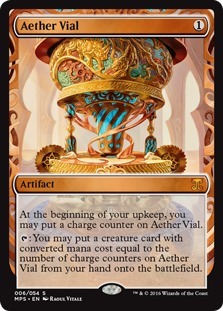 So now that the dust has settled and the set has reached something close to peak supply, how does one go about trying to make some money on Amonkhet cards? Well, as per usual if you planned to crack cases and sell singles, you should already have done so, since just a couple of weeks after release you were already facing a saturated market and singles prices that fell to lows as much as 80% below starting prices. At present there are just three mythics over $10 (Gideon, Rhonas and Liliana) and just two rares over $4 (Anointed Procession & Glorybringer). 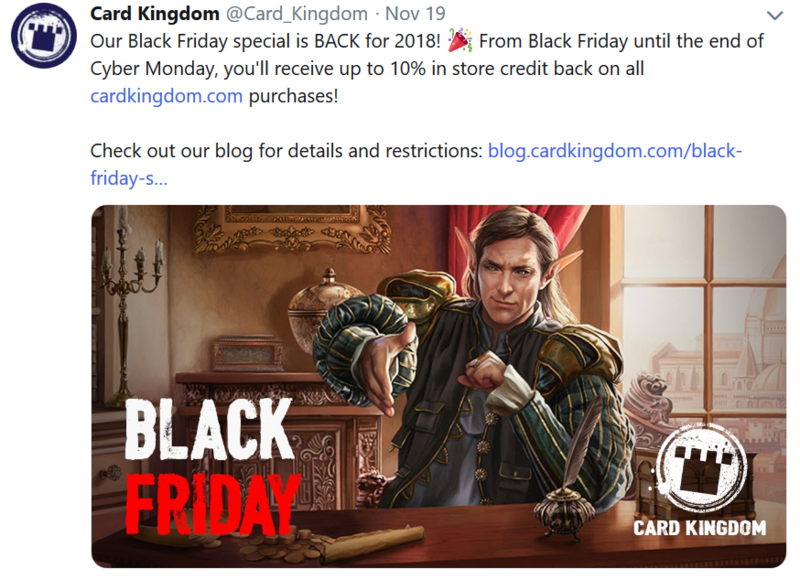 In other words, the set is cheap and still getting cheaper as early hype fades into a more realistic picture of which cards are actually playable in the near term. Secondly, as a large spring set with several unique cards, Amonkhet is likely to end up with a bunch of cards that don’t quite have the necessary pieces to make it in Standard, only to show up in other formats down the road as folks figure out the most efficient deck shells or new combo partners appear. Finally, with the Masterpiece Innvocations present in Amonkhet, the Expected Value of the rest of the set is similarly impacted as it was with the Kaladesh and Zendikar blocks, though to a lesser extent since only Force of Will, Cryptic Command and Daze are holding over $50 thus far. There are also several interesting cards in the set for Commander and a few for Modern, but it’s not certain which are traps and which aren’t. Now, Digging for Dollars is about looking for opportunities that aren’t played out yet, not identifying the most powerful cards in the set, or the obvious cards most likely to see the biggest gains. Many of these picks need planets to align to earn you money, so make sure you’ve exhausted your best options before you go digging folks. Where a card has not yet found it’s bottom, or has been hyped above it’s value, I will try to identify the proper entry point. 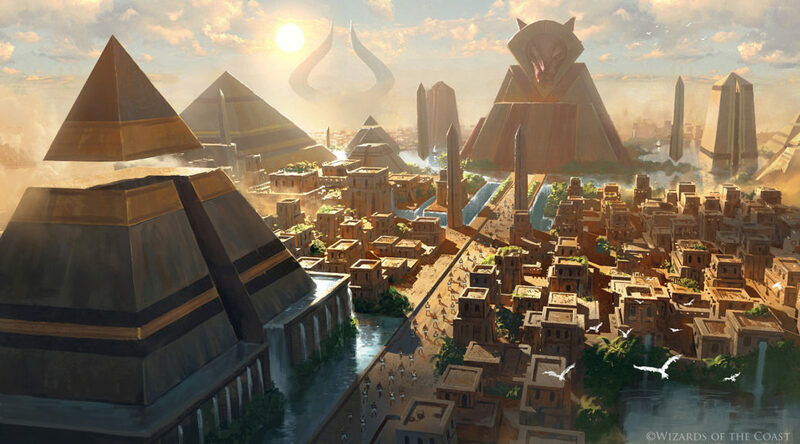 For Amonkhet we’re going to break up our specs into three categories: Standard Breakout Targets, Potential Eternal Staples, Long Term Casual Targets, and the Invocations. The first group generally needs to find a home within the year in multiple standard decks to do well for you. The latter two groups are mid to long term holds that you should be aiming to acquire at their forthcoming peak supply lows for solid potential future gains. When considering potential standard staples, you first need to be cognizant that Standard has had a pretty rough year, lost a bunch of players and doesn’t yet show definitive signs of recovery. As such, I’ll be steering clear of Standard specs for a while, especially with such fertile ground in Modern, EDH and via European arbitrage, but if you’re aiming to accumulate some staples you might need later it can’t hurt to consider your options. So a 4/6 indestructible creature with menace for 3cc is clearly a pretty good rate. Sure, you need to make sure one of your creatures dies this turn to get him into the red zone, but he does carry that on-board ability to make sure things will line up so long as you have some filling fodder on board. In Standard some of the Embalm creatures interact positively with this play pattern, and Sultai brews have been spotted, but I haven’t seen a truly great list yet. In Modern, cards like Hangarback Walker, Walking Ballista, Kitchen Finks and Lingering Souls all set this up reasonably well, but it’s not clear that the payoff is worthwhile when Tarmogoyf and Death’s Shadow are setting the standard for creature rates in Modern. I am testing Bontu in B/W tokens for Modern as a 1/2 of instead of a planeswalker, and it’s possible he could be useful in some kind of Aristocrats style brew, but it’s pretty unlikely he becomes a real Modern staple. Most of the gods carry some casual and Commander appeal, so under $3 I’ll start picking up a few sets for the long haul, with an eye to getting out earlier if Standard gives him a quicker boost. Foils may turn out better down the road, especially if Meren EDH players catch on to the synergies. The question here is whether there is life for this card in Standard without Aetherworks Marvel. The odds are not good, but at $.50, it’s not going to make or break your bankroll either way. Mostly a personal play set option I think. When this was first revealed, people seemed pretty excited at the prospect of punishing their opponents in Modern and Legacy whenever they cracked a fetch land, spun their top, or activated their Arcbound Ravager, but the excitement seems to have cooled and many pros seem to have decided the card isn’t such a big deal after all. 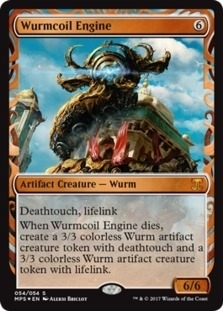 Mentor doesn’t punish planeswalker activations, and there aren’t any fetches in the format, so unless vehicles stays dominant I have a feeling we’re going to see the bottom drop out on this card by summer, opening the door for a decent buy-in price. Personally I feel that Harsh Mentor is likely to see at least occasional play in Modern, with long term potential to break out as a staple in the right meta. I was considering testing the card alongside Eidolon of the Great Revel in a revised burn shell, perhaps something like Josh Silvestri recently wrote up over on Channel Fireball. Craig Wescoe, on the other hand, has been looking at Mentor in R/W Hatebears for Modern. Both of these concepts could end up as little more than thought experiments, so commit accordingly. In Commander, this effects all opponents in a format with a ton of on board triggers, so foils may have some legs from that angle. Glorious End is a classic trap card. In the right circumstances it can be a time walk that cancels your opponent’s turn and and gives you the one extra casting or attack step you need to put the game away. If you can chain them, you can take multiple turns in a row without your opponent being able to do much. (You’d like to Snapcaster Mage this back to really get rolling, but you can’t because Glorious End exiles itself from the stack.) If you play cards like Gideon of the Trials, Platinum Angel or Angel’s Grace you can dodge your fate, but the question is whether someone will find the right shell to make all this durdling worthwhile. I’d put the odds somewhere around 30/70 that this makes a splash in Modern somewhere down the line but I don’t think you need to rush into owning any, so feel free to keep an eye out for interesting deck lists and snap some up during a summer sale if you’re excited to try and break it. This guy doesn’t quite look like Delver of Secrets now that we’ve had some time to put him to the test, but there is still potential for him to slot into a very quick aggro strategy in Modern if the right combination of ways to activate him reliably appear. I’ve seen him tested in Legacy. As an Uncommon, I’m not interested in non-foils, but a few sets of foils around $3 seem fine as a low priority target that may or may not get there in the next few years. Here we have the poster child for open ended synergy, a card that works with both cycling and discard, both of which have plenty of support now, and will only gain additional options down the road. As a two-mana instant this has the potential to set up really nasty combo turns, and whether that ends up being with Seismic Assault, Dredge cards or Life from the Loam doesn’t matter much to me. 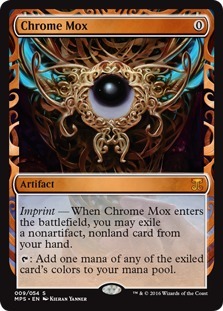 I only care that this card is only going to gain momentum as time goes on and is unlikely to see frequent reprints given the mechanical focus. I love these foils at $4, and intend to stock up this summer and await the inevitable spike. 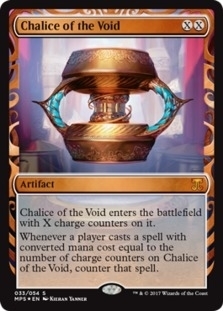 The As Foretold hype machine was running hot during spoiler season, with the card charging out of the gates close to $20. With no home in Standard and none of the Modern brews making major waves yet, the hype has cooled and I think there’s a good chance you can pick up a pile of these for $4 or so this summer and stock them away for down the road when someone outright breaks the card. It’s important to keep in mind that despite the fact that this card does nothing when it hits the board, it immediately starts letting you cast up to two extra spells per turn cycle including Living Death (Living End), Wheel of Fortune (Wheel of Fate), Balance (Restore Balance) and Ancestral Recall (Ancestral Vision) effects. 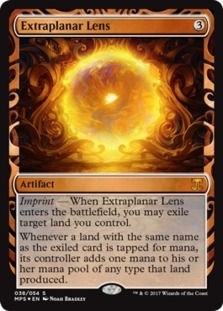 The card has open ended synergy with similar future cards that might appear, as well as with mana denial strategies, and in EDH it can potentially allow you to cast X spells per turn cycle, where X is the number of opponents, assuming you have a way of keeping your hand full. That’s enough for me to grab twenty to thirty copies. Foil supply is already relatively low at $20, and as a mythic rare that is going to be played as a four-of if it’s played at all, I’m happy to pick up a dozen at that price as well. The latest incarnation of the Gatewatch’s resident bruiser has been in steep decline since he was pre-ordering at $40. Now available for just $10, the card has shown up in a few Modern control lists including UW and RW strategies, usually as a 1 or 2 of. 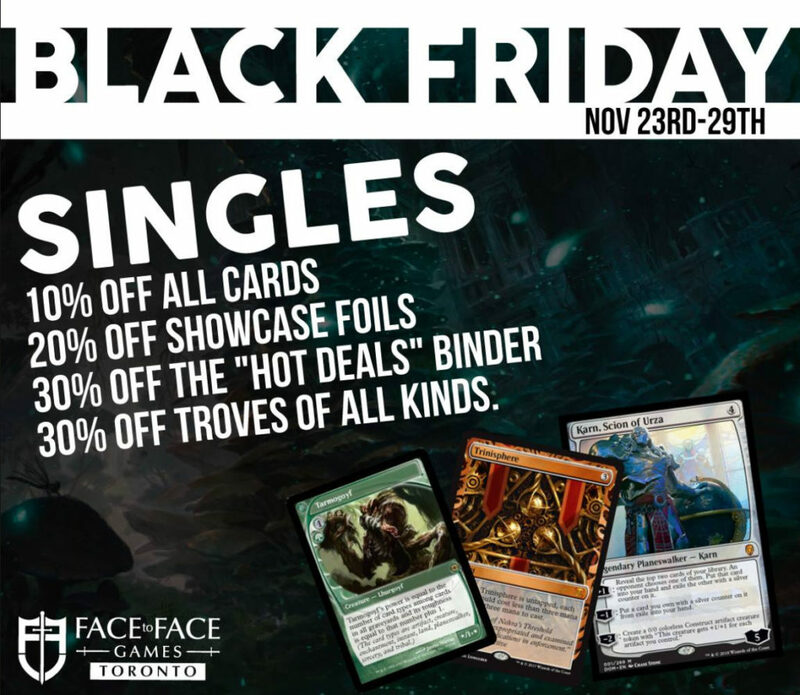 Those aren’t the kind of numbers that are likely to cause a major spike, but I’d keep your eye out for foils closer to $20 than $30, because foil supply is relatively modest and they could end up over $40 down the road. I’ll be picking up a play set of non-foils this summer, but will mostly focus on getting six to eight copies of the foils as cheaply as possible as a longer term hold. It’s a total trap, so just ignore me. For this to ever be a thing, a few things need to line up. You need a meta where you can consistently get a 1/1 flyer in for damage and where stealing your opponents ability to cast non-creature spells is powerful. You’re really doing it if you figure out how to recurse this thing and give it Haste, perhaps via Thopter Engineer. Trinket Mage and Ranger of Eos can go find this card, and Leonin Squire can bring it back. Master Trinketeer makes it bigger, and Silence and Isochron Scepter could form the nucleus of a soft lock. I only listed the foil prices above because the formats I can see this being most useful are Legacy and Vintage, where Xantid Swarm has been useful out of the sideboard. This one is a definite long shot, but it sets off my spidey senses and I’ll likely pick a few up once they get cheap for a casual Thopters deck if nothing else. In a few months we’re getting at least one new five color Commander deck (Dragons), and possibly others as well. 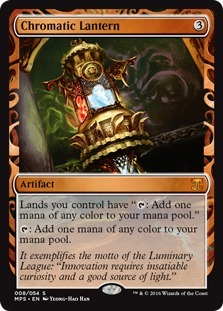 That aside, 5-color EDH decks are only going to get more robust as time goes on and this land is an auto include in all of them. Foils should be the play here, and they’re dead cheap if you’re comfortable with a longer hold. I already bought some experimental Japanese foils, and I’ll definitely be stashing some more of these away once I see a solid deal on English copies. Rishkar has already seen plenty of play in Standard, but I’m more interested in his long term usefulness in EDH. The strong utility of both buffing creatures and turning them into Llanowar Elves is going to be popular in casual circles for years to come and being both an Elf and a Druid is a boon for Commander. Interactions with Atraxa, the other “cares about counters” commanders, and Hardened Scales/Doubling Season only bolster the appeal. I’d focus on foils here, since there are likely to be plenty of non-foils lying around once he wraps his tenure in Standard. Yeah, that says “each opponent” all right. Attack or tap your creatures in EDH to hit all your buddies at once. 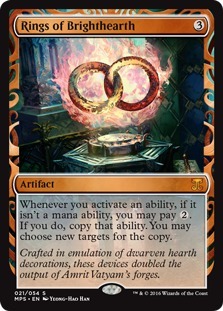 That’s enough to get me on board here, but I suspect this cheap and deadly artifact will find a home in Modern and/or Legacy at some point as a finisher that doesn’t have to attack through blockers to win. Legendary status holds it back some, so I’ll focus on foils here as well, expecting modest growth, but allowing for more exciting results if someone figures out how to break out of the pack on the back of this card. At just a quarter for regular copies, hard to go wrong with those either. 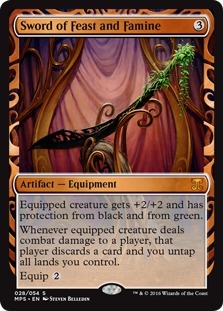 No one seems very excited about this card, but in Atraxa EDH decks, this “Builded Lotus” can get rolling pretty quick and ramp you into more shenanigans. It’s unlikely to escape the range of mediocre to medium good in that format, and is likely unplayable everywhere else, but at $2 for foil rares, I’m willing to throw $20 at this and see where it lands in a few years. So there you have it. Anything I missed that you’re on top of? Logic to kill one of the specs? Share your thoughts for the benefit of all in the comments.